This year we decided to net the lake to reduce the amount of silver fish. Jack and Dan of JS Fisheries appeared at the appointed time and quickly got to work deploying nets and boats. 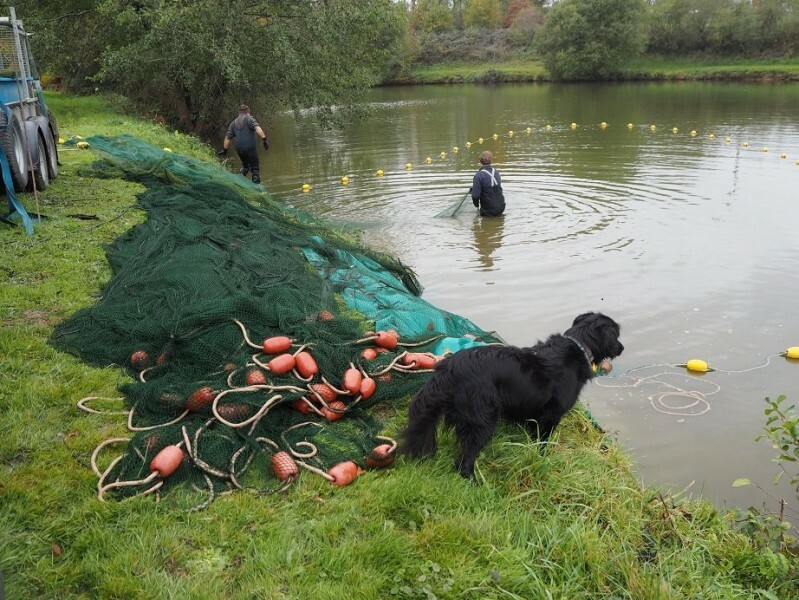 The nets were quick to encircle the lake, and Jack and Dan started hauling them in. Every so often they stopped to work around an obstacle, and then a shout went up: a different sort of snag had been encountered. Jack untangled the intruder which turned out to be a complete rod and reel. This was identified on our FaceBook page by Karl, who thought that he had lost it to the catfish! Speaking of Big Bad Barry (the catfish, named by Jess Hay, the first person to catch him) we were hoping to net him and get a definitive weight for the year. Hopes were high when we saw some regurgitated fish but when the net was drawn tight there was no catfish. He had slipped the net. When we removed the silverfish it looked like they had bred beyond their food supply, so we are hopefull that our winter feeding program will be more efficiently utilised by the carp, leading to a bigger weight increase for next season. 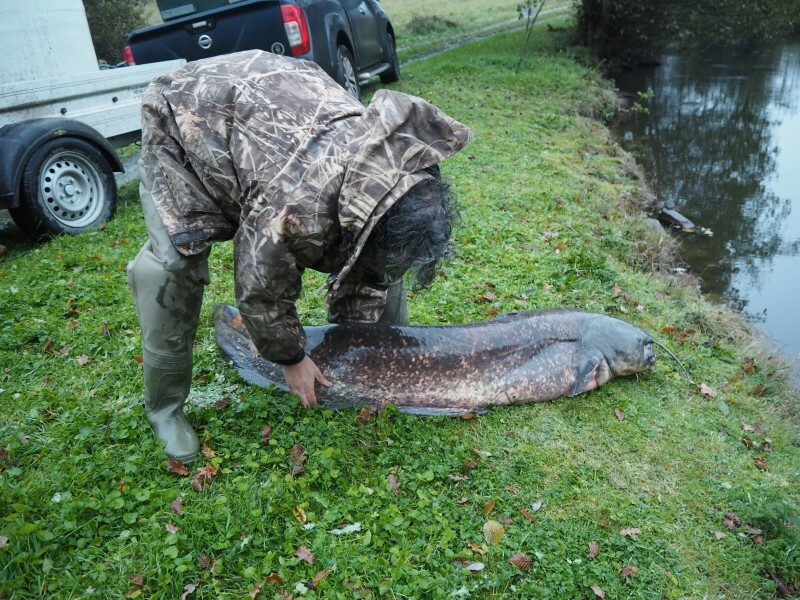 Many of our anglers have expressed interest in catching Big Bad Barry, the 100+lb catfish in the Notaire’s house lake. For some this would be a new species, and for others the chance to increase their PB. 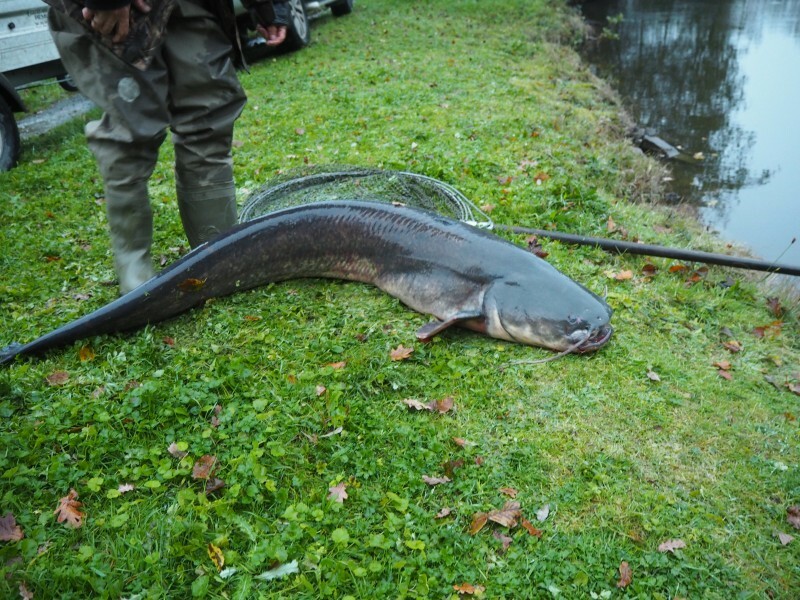 We have decided to accommodate this growing demand by making the top lake of Notaire’s two lakes a catfish lake, and so have recently stocked it with over 300lbs of catfish. The biggest at 110lbs may outrank Big Bad Barry, though it will be neck and neck, and the second largest is about 90lbs. The remaining three are approximately 20, 30 and 50lbs respectively. 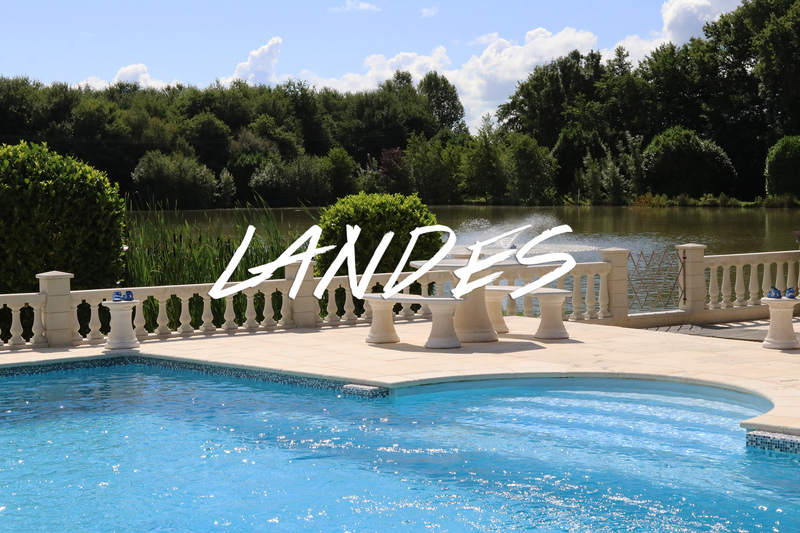 So if you fancy a chance at some arm-wrenching catfish action bring your catfish rods along with your carp rods to the Notaire’s Lakes!